In the UW Health Information Management and Technology (HIMT) program, students gain real-world skills through their capstone projects. These projects provide the hands-on experience that employers value. Each capstone project is uniquely tailored to the students’ interests. In spring of 2017, Mariah Rathkamp conducted her capstone project at Watertown Regional Medical Center. Watertown is one of the HIMT program’s many capstone sites across the country. Other leading organizations include Detroit Medical Center, Shriner’s Hospital in Chicago, Miami Veterans Administration, Regis Medical Group in California, and Green Bay Oncology in Wisconsin. Mariah’s project addressed the cumbersome problem of delinquent medical records from providers. Her solution: streamline the record completion process through automation. 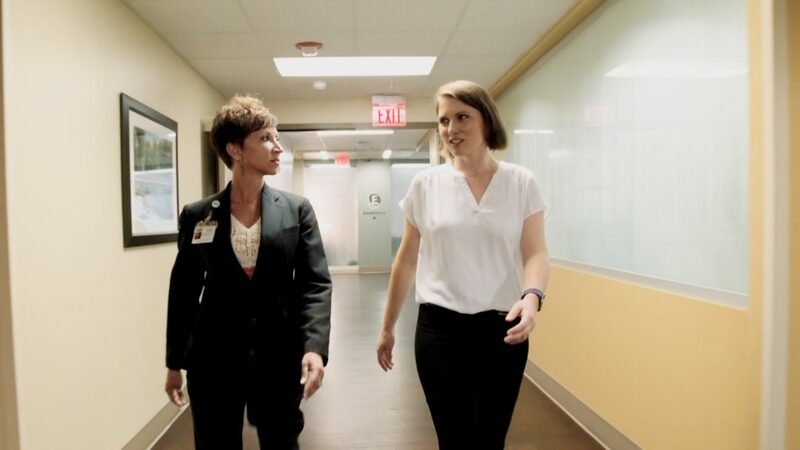 She worked with supervisor Jackie Busalacchi, manager of Health Information Management, and UW Advisory Board member Jennifer Mueller Laughlin, MBA, RHIA, vice president and CIO at Watertown Regional Medical Center. Upon completion of her project four months later, Mariah had successfully shortened the workflow, saving the staff’s time while helping the medical center better comply with accreditation standards. Mariah graduated from UW-Green Bay in May and earned RHIA certification. Today, she’s a Health Information Exchange operations coordinator at the UW Medical Foundation. In this position, Mariah maintains web-based applications that provide access to patient information. She also trains others to use them and performs compliance auditing on the usage of these applications. She’s excited about her future in health information management. Would you like to start the next phase of your healthcare career? Contact an enrollment adviser at 1-877-UW-LEARN (895-3276) or via email at learn@uwex.edu.